. استمتع بالخدمات الراقية والضيافة التي لا مثيل لها بهذا الفندق في سيدني. تتضمن الميزات الرئيسية في هذا الفندق: واي فاي مجاني في جميع الغرف, مكتب الاستقبال على مدار الساعة, مرافق مخصصة لذوي الاحتياجات الخاصة, تسجيل وصول/خروج سريع, تخزين الأمتعة. بالإضافة لهذا,تتضمن كل غرف الضيوف مجموعة واسعة من وسائل الراحة . بعض الغرف توفر حتى تلفزيون بشاشة مسطحة, غرف لغير المدخنين, مكيف هواء, تدفئة, خدمة الإيقاظ لإرضاء أكثر الضيوف تطلباً. إن مسارات المشي, مسار جولف - ضمن 3 كم هو المكان الأمثل في الفندق للاسترخاء وتفريغ طاقتك بعد نهار طويل. يشكل فندق ذا كوجي باي بخدماته الراقية وموقعه الممتاز، قاعدة مثالية للاستمتاع بإقامتك في سيدني. We were a little concerned about reviews we read about how noisy it might be but the place was spot on, we didn’t have any problems and our room faced the garden bar. We would stay there again. We understand the cheaper backpacker rooms are over the garden bar so you would have to accept some noise especially as it can go on until 5am Sunday morning. Great Location just off the beach ... cafes, shops ... I was at a work conference at the crowne plaza, this was great alternative spot to stay within walking distance. Really excellent value for money. A large bedroom with a very comfortable bed. As the room gave on to the back street we werent disturbed by the weekend festivities at the bar and restaurant. Bathroom facilities are a bit tired but for the price not something one can comlan about. Staff everywhere both friendly and helpful. 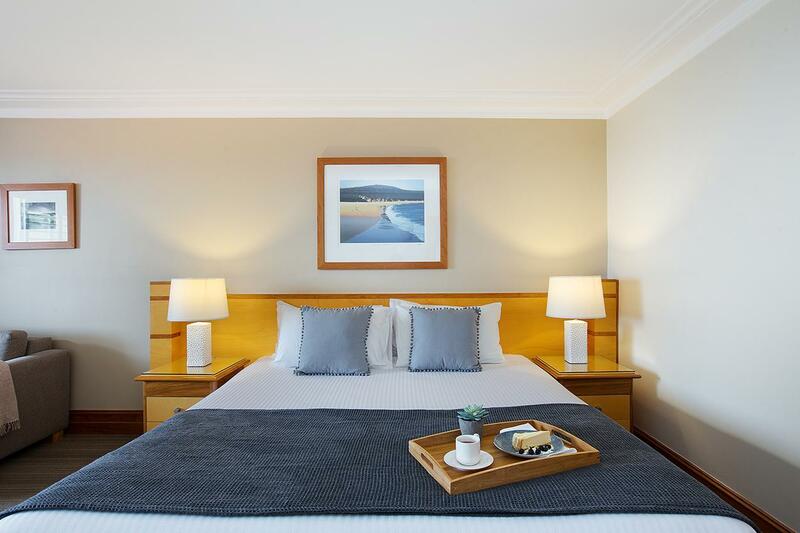 LI was pleasantly surprised at the Coogee Bay Hotel as some of the reviews were less than favourable. We stayed in a room overlooking the ocean - the view was lovely and yes we overlooked the back of the hotel directly below us, but that didn't t really worry us. The room was large enough for a king sized bed and a sofa and the balcony was large enough for a small table and 2 chairs where we could sit and enjoy a drink in the evening. The rooms where we stayed were on the same block of land as the pub but separate, so the noise wasn't an issue at all. I would recommend this hotel. The stay was just right! It was an awesome location with it being walking distance from the ocean and a lot of great restaurants. We welcomed the New Year in at Coogee Bay and were given a bottle of champange to kick start the New Years Eve celebrations. 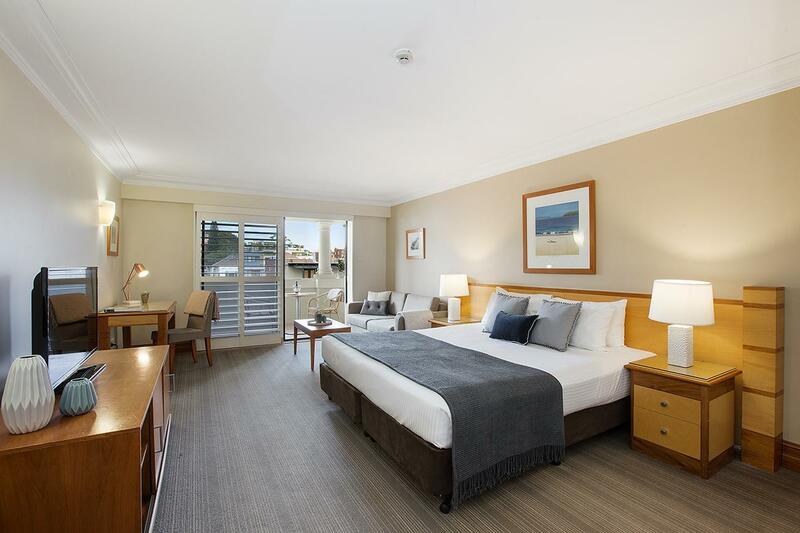 I would recommend the Coogee Bay Hotel to anyone traveling to Sydney! The area is quite noisy at night but also convenient if you want to choose among several kind of food. The restaurants here are open till late, not like other places in Australia, that close around 6pm. Breakfast was fine, continental buffet. Free parking. Very nice staff. No fuss or bother. Gave late check out ( till midday ) which was really nice. Old style pub room was fine, quite big, tv, foxtel, tea/coffee, good bathroom and a bay window ! could be noisy, but that wasn't any bother. AC excellent. I went to Coogee for a weekend away with friends. As alwasys we had a great time. The beer garden,weather, beach, food and rooms were lovely. We stayed in the apartments because of issues in the pub room such as air con issues as well as housemaiding issues. We were then upgraded to a great room. We had a fabulous weekend. Atmosphere was awesome. Views second to none. It's a good experience with sweet service. The hotel is located facing the bay and park surrounding by many stores and retails. There is a beer garden downstairs where is a good place to relax and catch up with friends. Perfect - Lovely place to stay. Reception was lovely on arrival, they organised us an early check in due to us having to drive all night to get there, after crashing in bed early we set alarms for 9:30 to order dinner through room service which closed at 10 (online menu and in room menu said this), we called at 9:45 and the receptionist quickly told us that the kitchen had closed at 9:30 and were not allowed food. obviously confused as pissed off that the hotel had lied to us, the receptionist asked the chef at our request, who then refused as well. Basically any establishment that opening lies and refuses service and advertises differently cannot be trusted. As for dinner, the only place Open after this was a kabab shop which was wildly disappointing. Lucky for us it was Only for 1 night. Toilet ran all night. Bedside lamp didn't work. Brought it to attention to staff the following day as we didn't realise the issues until late night. Staff didn't seem to be concerned and certainly didn't take any measures to ensure we would want to stay again. Which we now won't. Plenty of better accomodation options nearby. Our stay was ok apart from the noise. Bins being emptied and washed from the pub under our balcony in the boutique accomodation area. We know it has to be done but we might as well stayed in a pub room. The reception staff were very helpfull and very good. Room eas ok, liked the size and facilities. But expected better room service. i.e found an empty drink bottle under the bed from previous resident. Tissue box had only 1 tissue left in it, so i ran out. Left me 2 conditioners, which was inconvenient when i discovered it when i went to have a shower. Internet wireless is very expensive, but i could not get it work anyway.